At 2:46 p.m. local time on Friday, 11 March 2011, Japan was rocked by the largest earthquake ever to strike its shores. The 9.1 magnitude quake triggered a devastating tsunami that killed more than 15,000 people. It also took out the back-up emergency generators that cooled the reactors at the Fukushima Daiichi nuclear power plant complex, causing a series of catastrophic meltdowns. But amid the chaos, the Yanaizu-Nishiyama geothermal power plant in Fukushima prefecture didn’t miss a beat. 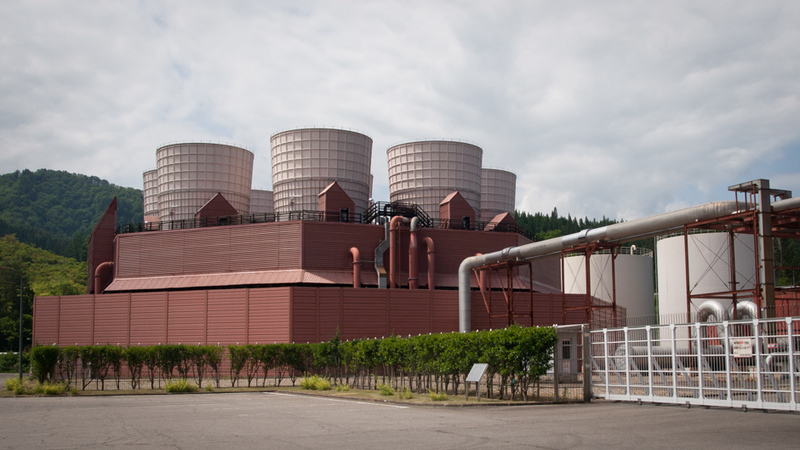 Along with two more of the nine geothermal power plants in the region, the 65-megawatt facility continued to generate power, even as many other power plants around them failed because of damaged equipment and transmission lines. “This is big news for many geothermal people around the world,” says Kasumi Yasukawa, principal research manager at the Institute for Geo-Resources and Environment in Japan’s National Institute of Advanced Industrial Science and Technology. In a country as seismically active as Japan, it was a clear signal that geothermal energy was worth investing in. Geothermal electricity generation might not have the high-tech flashiness of solar, or the romance of wind and wave, but it’s the solid, steady workhorse of the renewable energy race. The never-flagging heat lurking at various depths below the Earth’s surface is tapped to produce steam that is used to drive turbines and generate electricity. This heat can also be used more directly to warm spaces or swimming pools, but sustainable electricity generation is the goal that most have in their sights. “If you want to know what you could run an industrial society off of, it would be hydro and as much geothermal as you could find,” says Susan Krumdieck, who heads the Advanced Energy and Material Systems Lab at the University of Canterbury in New Zealand. Wind and solar energy have many excellent qualities, but reliability isn’t necessarily one of them. When the wind drops off, or the sun sets, something else has to step in. And increasingly, nations are turning to geothermal to deliver that stability. The use of geothermal electricity varies enormously around the world. In 2015, 24 countries had a total of around 13.3 gigawatts of geothermal power capacity. The United States is the single biggest, with just over 3,500 megawatts of capacity — although this only contributes around 0.3 percent of the nation’s electricity capacity — followed by the Philippines, Indonesia and Mexico in the 1,000 to 2,000 MW range. Geothermal energy’s star seems to be on the rise. The Japanese government has committed to tripling its geothermal electricity capacity, from around 540 MW in 2011 to 1,500 MW, by 2030. El Salvador is aiming to source 40 percent of its electricity from geothermal by 2019 — up from around 25 percent — and in Kenya, geothermal energy has now taken over hydro as the top supplier of electricity, providing 51 percent of the nation’s electricity. But these countries, and others such as Iceland and New Zealand, have one big advantage: Their volcanic geology and seismic activity means the heat is relatively close to the surface and often in close contact with water, and therefore much easier to tap. But not all countries are so lucky, and this is where enhanced geothermal electricity comes into play. 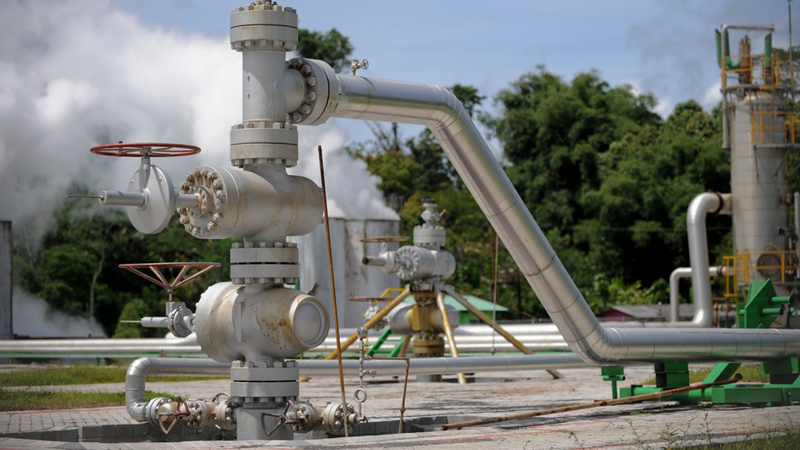 Geothermal electricity generation needs three things to be viable: heat, fluid and a substrate permeable enough to allow movement of fluid through it and up to the surface, where the steam is used to turn power-producing turbines. In the case of conventional geothermal energy — sometimes called hydrothermal energy — all three of these elements naturally occur together. However, this is the exception rather the rule. For the majority of countries, the heat is there, but the fluid, and in some cases the permeability, are not. Enhanced geothermal involves drilling wells into the hot rock, and forcing fluid — water or brine — into the hot rock through fractures or permeable areas. The heated water is then extracted via another well and put to work generating electricity. “The hydrothermal systems that have been developed to date are by and large low-hanging fruit,” says Robert Podgorney, director of the Snake River Plain Geothermal Consortium and Idaho National Lab, FORGE — Frontier Observatory for Research in Geothermal Energy — Initiative. “But the elephant in the room is the enhanced geothermal; the source base dwarfs all of production to date.” For example, a 2008 report by the U.S. Geological Survey estimated there are more than 500,000 MW of untapped enhanced geothermal energy in the western United States alone, an order of magnitude greater than available conventional geothermal resources. FORGE is the US government’s up to US$31 million push to shift enhanced geothermal electricity generation up a gear. “We’re looking for case number one at a really commercial scale, and when I say commercial scale, each well has to be making at least 5 megawatts and preferably more,” Podgorney says. But getting to this point will require advances in drilling technologies, energy conversion, understanding the heat resource and substrate, and identifying resources most likely to deliver electricity bang for drilling buck. Enhanced geothermal also has issues with regional seismic disturbances, subsidence and the extraction of potentially toxic mineral-laden fluid that can clog power plant machinery with mineral deposits. The biggest challenge for enhanced geothermal is the fact that getting to this hot rock requires drilling many kilometers below the surface, injecting fluid and extracting it once it’s hot, none of which is cheap. Conventional geothermal is not without its environmental problems: New Zealand has experienced subsidence around several of its geothermal fields, which has been partly blamed on unconstrained extraction of the hot fluid without reinjection. Plans for these areas now emphasize reinjection to limit further losses. But the biggest challenge for enhanced geothermal is the fact that getting to this hot rock requires drilling many kilometers below the surface, injecting fluid and extracting it once it’s hot, none of which is cheap. Indeed, cost has proven Australia’s undoing. While the ancient continent’s volcanic resources are long dormant, there are vast reserves of hot dry rock. But a AU$144 million project drilling for enhanced geothermal energy resources in the Cooper Basin did not find a resource worth developing under existing economic conditions. The Australian government’s renewable energy agency has now taken a step back and directed its funding to a project to map structural permeability and identify areas where fluid has the best chance of traveling efficiently through the hot rock. US-based geothermal company AltaRock Energy is focusing considerable attention on energy conversion efficiency. By making a number of tweaks to its own geothermal power plant, AltaRock has increased the efficiency with which it converts heat to electricity and increased output from 25 MW to 30 MW. “If you can make the conversion process from heat to electricity 20 percent more efficient, you need 20 percent fewer wells, and the wells are the expensive part,” says Susan Petty, AltaRock’s president and chief technology officer. AltaRock is also improving the efficiency of its wells — managing the injection and flow of fluid so they target the hottest parts of the geothermal field. And Petty sees potential in improving the design of the giant turbines whose steam-powered spin drives electricity production. Petty sees potential in improving the design of the giant turbines whose steam-powered spin drives electricity production, using modern, digitally controlled techniques to craft much more efficient turbines. Meanwhile, back in Japan, some people are turning geothermal into personal gain. The expansion of geothermal electricity generation faces resistance from some owners of Japan’s many traditional hot springs, or onsen — an integral part of Japanese culture — who are afraid the development will compromise their springs in some way. But others have begun investing in their own very small-scale geothermal power plants, suggesting that geothermal has already gone a long way to winning them over after the Fukushima nuclear disaster. Yasukawa says the 2011 earthquake and tsunami showed just how valuable geothermal electricity can be. This article was originally published by Our World partner Ensia. As Global Demand for Electricity Grows, Geothermal Energy Heats Up by Bianca Nogrady is licensed under a Creative Commons Attribution-NoDerivs 3.0 Unported license. Permissions beyond the scope of this license may be available on the Ensia website.